The activities of European Voices II will be organised by the Institute for Folk Music Research and Ethnomusicology at the University of Music and Performing Arts in Vienna. The starting point is the project Folk Terminology and Musical Phenomena which is being supported by the Austrian Science Fund (Fonds zur Förderung der wissenschaftlichen Forschung). 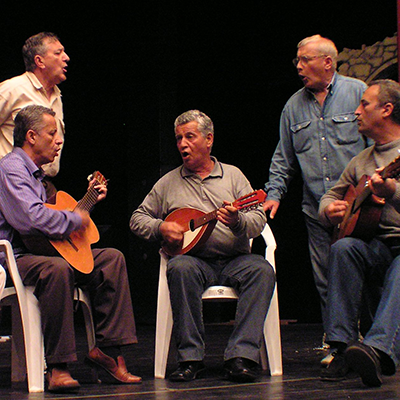 The previous project European Voices I, Symposium and Concerts of March 2005 – was dedicated to multipart singing in the Balkans and the Mediterranean and received an award from the City of Vienna, the Labour Chamber of Vienna (Arbeiterkammer Wien) and Vienna Convention Bureau among 366 international congresses held in 2005. 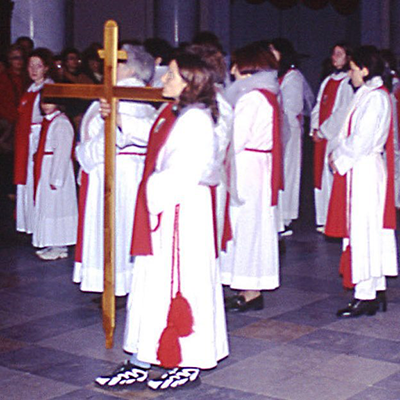 The extended network of specialists now makes it possible to investigate the musical traditions of different European regions: from Portugal to Bulgaria in the South, and from Central Europe, in which Austria and the European Alps have a particular position, to the East with Lithuania, Ukraine, the European part of Russia and Georgia and up to Iceland in the far North. 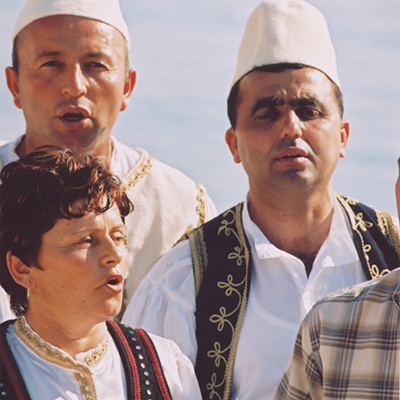 Multipart singing traditions have, as a rule, a decisive role in the musical and cultural identity of the regions where they are established. Hearing or listening is thus of crucial significance. Their effects on how groups of people or individuals understand music will be dealt with from musical, linguistic, medical and social perspectives. Another main focus is dedicated to discourse as the method of communication through which people examine the validity of norms or standards, and to the role of communication in the processes of legitimation and power within a community. Gender issues will also be explored in this context. The speakers will be internationally recognised researchers from over 20 countries in Europe, the United States and Australia. Profane and sacred music will be performed in the evening concerts, where each concert will have a specific motto. The title of the concert of the women’s groups from Lithuania and Bulgaria is It should sound like bells. This describes the ideal sound of both vocal traditions, although the music itself is very different. The concert Polyphonic Yodelling by the male groups from the Schneeberg region of Lower Austria and from a klapa group from Croatia will take place in the Konzerthaus in Vienna. The third concert is entitled Sacred Folk Songs and will be given by singers from Northern Italy and Slovakia. European Voices I. Multipart Singing in the Balkans and in the Mediterranean. With Summaries in German. CD and DVD with Audio and Video Examples Included. Schriften zur Volksmusik. Band 22. Wien 2008. Böhlau Verlag. Although the fundamental meaning of basic terminology is well established for every scholarly discipline, many concepts are often questioned and redefined. In the case of ethnomusicology, this process is all too familiar, as researchers within the discipline focus on the most diverse of music cultures. The manifold worldviews of the resource persons, as holders and presenters (in both meanings of the word) of a tradition make the matter more complex. Such a situation has particular significance in the context of multipart singing because of the specific musical aesthetics and vocabularies established among singing groups. Additionally, it is accentuated by processes of change within every musical culture and those of ethnomusicology. Examining this question from the viewpoint of folk terminology means primarily considering specific and individual concepts of cultural listening, in the sense of “paying attention”, “concentrating” and “focusing on”. These concepts are established on the one hand through the processes of music listening and music making and on the other hand through the local discourse, in which singers and musicians as well as local communities are very much involved. The discourse as a communication category with which people communicate about the claim to validity of rules also plays an important role in processes of legitimating and power within the community. An essential part of the discourse is singing itself. The music therefore becomes the object and subject of research. Of particular relevance in this framework are questions of gender, applying to communities in which women practice multipart singing and others where they are mostly listeners, although forming a very important part of the discourse. This was the starting point for the project “Folk Terminology and Musical Phenomena” initiated by the Institute for Folk Music Research and Ethnomusicology at the University of Music and Performing Arts in Vienna in 2006 and supported by the Austrian Science Fund (FWF). 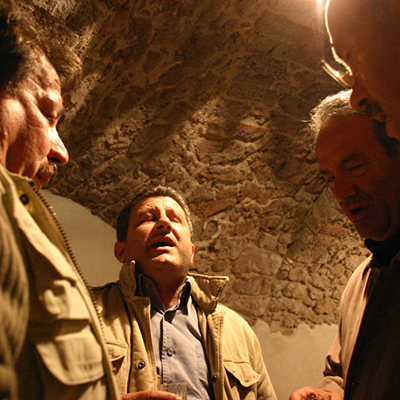 The extended network of specialists available since the activities on multipart singing in the Balkans and the Mediterranean in 2005 made it possible to include traditions of Central, Eastern and Northern Europe in the investigations. 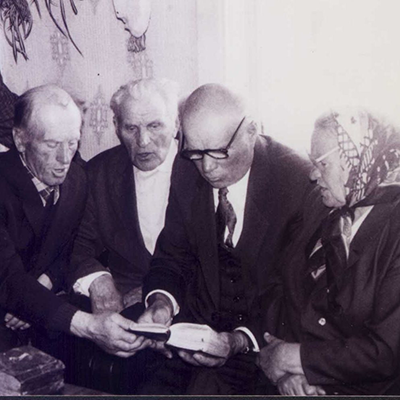 The meeting debates will be supported by concerts of profane and religious multipart music performed by brilliant singers in whose everyday life this music is firmly rooted. 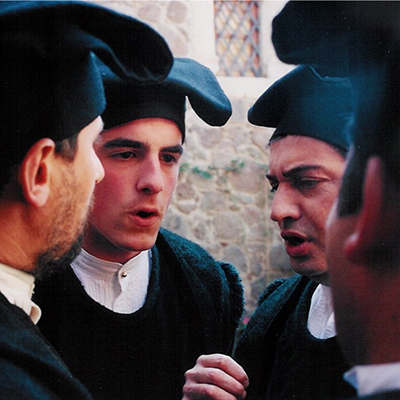 The Tradition of Sacred Songs in Liguria (Northern Italy): Sunset of a Culture Facing an Iden-tity Crisis and a Reaffirmation of a Local Pride. Venue: Universität für Musik und darstellende Kunst Wien, Haydn-Saal. Men’s Songs in a Women’s Song Tradition. Venue: Minoritenkirche, Minoritenplatz 1, A 1010 Wien.